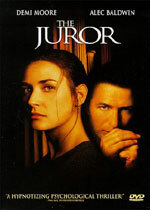 Synopsis: Annie Laird is Juror 224. A sculptor with a career going nowhere. A single mother struggling to raise a son. A good citizen who has been summoned to what looks like a routine tour of civic duty. But the trial she is called to serve on is no ordinary trial. 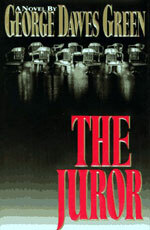 It is a mob trial, whose outcome has been meticulously orchestrated by a man of insidious power and deadly precision. A man who lives by the teachings of Lao Tsu ... whose magnetism is irresistible ... whose mind is as brilliant as it is twisted. He is known to some as the Teacher, and he's set his sights on Annie Laird. Pulled into the most chilling depths of the criminal underworld, Annie will be seduced by double-edged promises, stalked by the specter of terror, then, finally, driven to a shocking decision by the most basic motivation a woman can know.